Tux Racer is a free game. This means that the source code is available to be studied, modified, and distributed. Most projects look for help with testing, documentation, graphics, etc., as well. TuxRacer is a 3D racing game featuring Tux, the Linux kernel mascot. 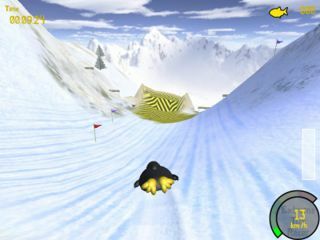 Gameplay consists of sliding down a snowy slope, avoiding hazards like cliffs, ice, and trees, and collecting herrings. TuxRacer was followed by Extreme Tux Racer, which forked off from the original after development ceased. This page was last edited on 4 March 2019, at 05:11.